Brian Bielmann / Getty ImagesThe curve can be friendly or it can be mean. 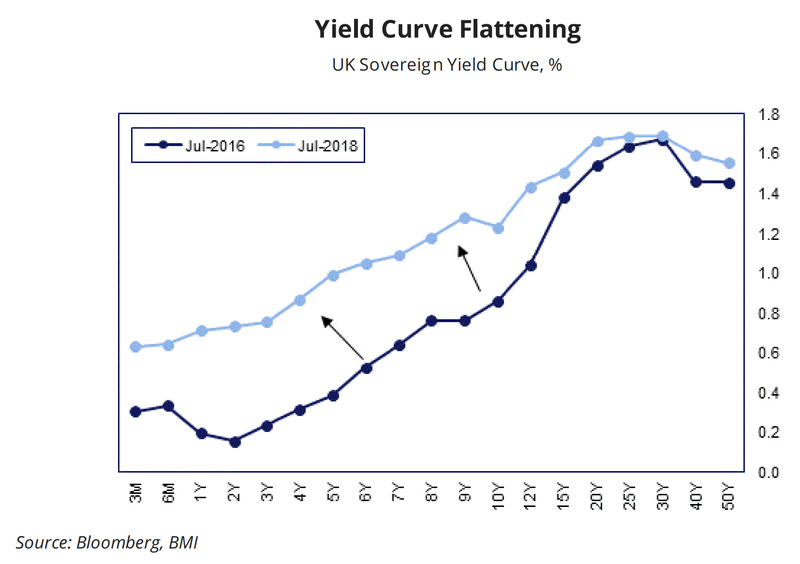 Recently, the curve has been distorted by central banks’ bond-buying programs, which have artificially made the curve flatter than it might have been. So the curve is a bad signal, some people say. Here’s why you should continue to obsess about the curve: It can signal risk despite central bank activity. 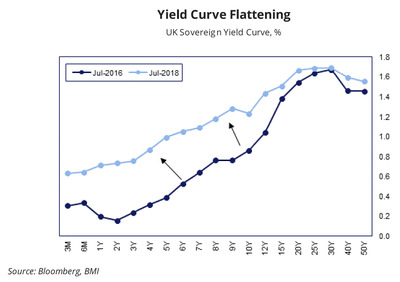 LONDON – For an economic indicator that is allegedly not a reliable signal for impending recessions, people sure are talking about the flattening of the bond yield curve a lot. Recently, it has become trendy to insist that everyone ignore the yield curve. “The yield curve is not an indicator of impending doom! Ignore it!,” they say. Of course, whenever an important person insists that the rest of us ignore something, that just makes me more curious about it. 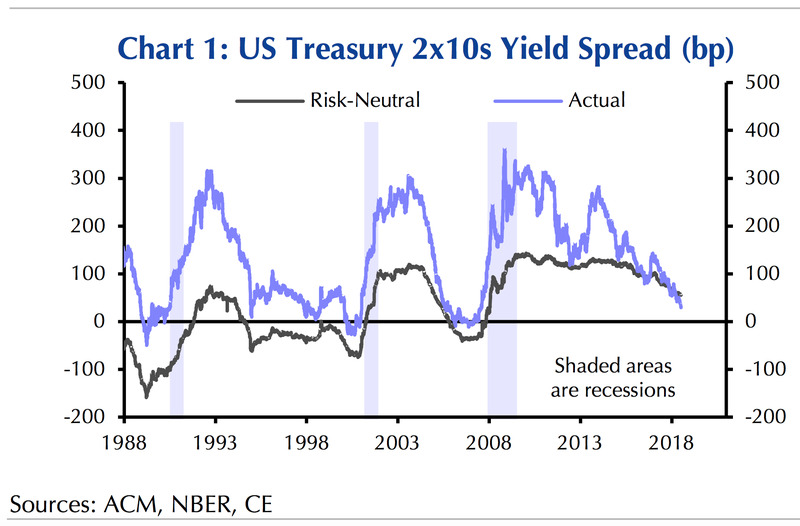 The bond yield curve has in the past been a signal of an impending recession. When the interest yield on the 10-year US Treasury bond becomes the same as the two-year bond, recessions have often followed. The “curve” is the line that plots the difference between them over time. Right now that line is trending toward zero, or flat. If the line goes below zero – an “inversion” in which the yield on the two-year bond would be greater than the 10-year – that traditionally signals something is very wrong in the market. Capital EconomicsAnother look at the yield curve that shows we still have some wiggle room before that curve goes flat. So the flat curve could be signalling a bit of that.